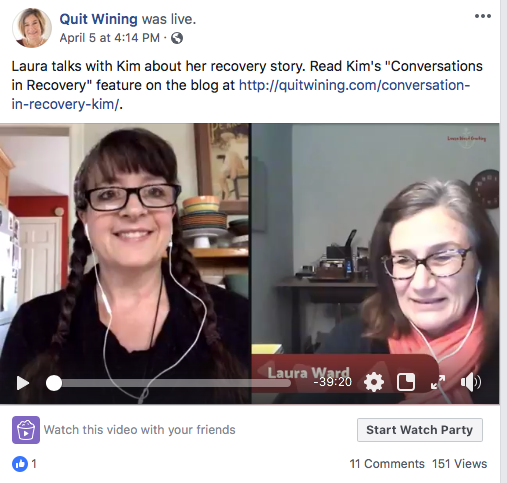 Last week, I had a wonderful conversation with Laura Ward from Quit Wining. She is a certified life and recovery coach and a lovely person. Please take a moment to visit her site, check out her blog and read/watch the conversations she is having with others in recovery. She is doing excellent work!